Come and let us show you our newly-remodeled home. Our beautiful, newly-remodeled home is an ideal alternative to an institutional setting because we provide an ambiance where our residents always receive personal attention and their individual needs are never ignored. We are the next best thing to home! We believe in working with each resident and family member to identify specific needs, set realistic goals that will ensure the mental, physical and emotional well-being of each individual. 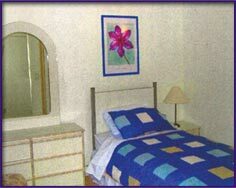 Our Staff is capable, caring and specially trained in memory loss disorders. A Loving Heart Senior Care: DOES NOT DISCRIMINATE AGAINST ANY PERSON ON THE BASIS OF RACE, COLOR, NATIONAL ORIGIN, DISABILITY, OR AGE IN ADMISSION, TREATMENT, OR PARTICIOPATION IN IT'S PROGRAMS, SERVICES AND ACTIVITIES. ©2017 A Loving Heart Senior Care, New LifeStyles Media Solutions, All Rights Reserved.